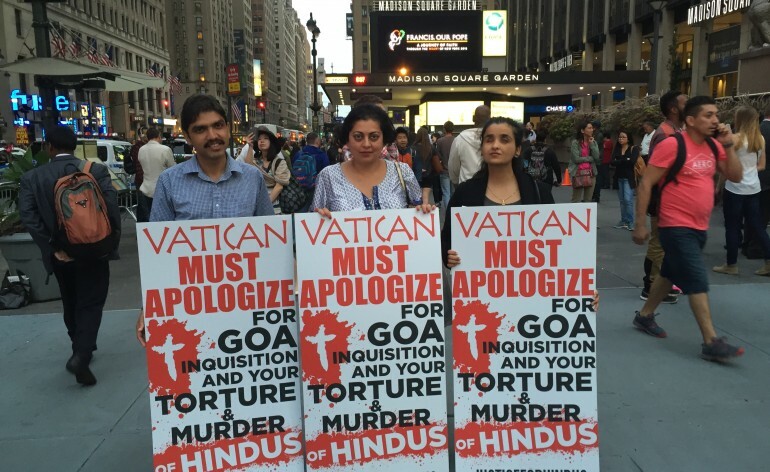 With the Pope’s visit, Justice for Hindus is seeking an official apology from the Vatican in brutality of the Indian Goa Inquisition… a campaign of terrorism, torture and murder which rivalled those of the Spanish and South American Inquisitions. While the Vatican has made official apologies for their crimes against both the Spanish and the South Americans, it has never officially apologized for the Goa Inquisition which was directed mainly at Hindus. JFH’s goal is to raise awareness, put social pressure and even repair these damages.